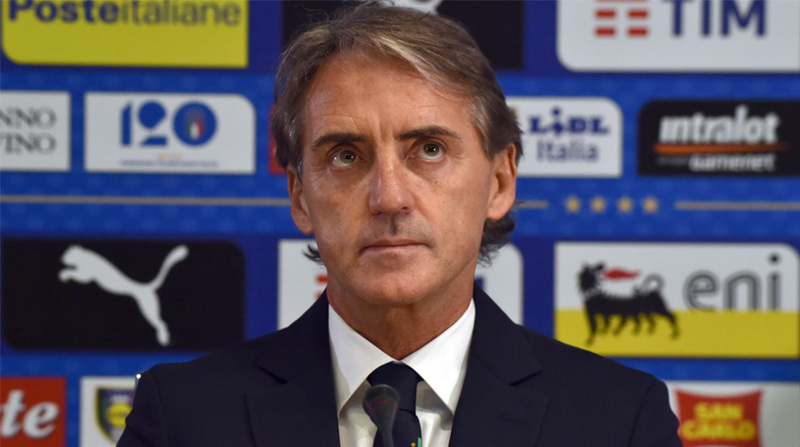 Roberto Mancini, 53, the new coach of Italy, which failed to qualify for next month’s FIFA World Cup in Russia, has pledged to take the Azzurri back to the top. Local media reported on Tuesday that Mancini, at his first press conference in Milan, said he was proud of getting this opportunity, reports Xinhua news agency. “For a person like me — who stepped in Coverciano (training centre for national football teams near Florence) for the first time in 1978 — becoming Italy coach is the most beautiful thing,” leading sport daily La Gazzetta dello Sport quoted Mancini as saying. “I want to bring Italy back to top of Europe and of the world,” Mancini stressed. He signed a two-year contract, and this would allow him to lead the team at the UEFA European Championship scheduled in 2020. His nomination came exactly six months after four-time world champions Azzurri missed out on the 2018 World Cup for the first time in 60 years. Such a failure left the country’s football fans stunned, and led to the dismissal of former head coach Gian Piero Ventura. Answering questions, Mancini said he would hold talks with striker Mario Balotelli to see whether it was possible to have him back in the national team. “There are a lot of players in Italy, even if we think it is hard to find quality players at times,” he said. Balotelli currently plays with OGC Nice in France, after playing with Liverpool and Manchester City in the UK, and with AC Milan and Inter Milan in Italy. He has not been called to join the national team since November 2014. The Italian national team would have a first training with Mancini next week. “It is hard to say how we will play: I want to see some players that I do not know well, and I will adapt to their needs and qualities to decide what it is best for the team,” Mancini explained. Age would be considered in selecting players, however, since the Azzurri needed to be put back on track. “We need to think about building a team for the coming years, so age will matter,” Mancini confirmed. “The head coach has to be close to the youth teams, although every team has its own coach, and I do not want to interfere with the work of my colleagues,” he added. Mancini debuted as a player in Italy’s Serie A in 1981, playing as a forward until 2001. He also joined the national team from 1984 to 1994. He started his coaching experience in the early 2000s, leading Fiorentina, Lazio, and Inter Milan, Manchester City, Galatasaray, and Zenit St. Petersburg. His Azzurri team will now have three friendly games in a few weeks: against Saudi Arabia in Switzerland on May 28, against France in Nice on June 1, and against The Netherlands in Turin on June 4, the FIGC said.